Neuro X is the title and theme for the May 1 symposium hosted by Johns Hopkins Institute for NanoBioTechnology. The event kicks off with a continental breakfast at 8 a.m. in the Owens Auditorium, between CRB I and CRB II on the Johns Hopkins University medical campus. Talks begin at 9 a.m. Posters featuring multidisciplinary research from across many Hopkins divisions and departments will be on display from 1 p.m. to 4 p.m.
Piotr Walczak is an assistant professor in the Johns Hopkins School of Medicine Russell H. Morgan Department of Radiology and Radiological Science, Division of Magnetic Resonance (MR) Imaging. He specializes in magnetic resonance research and neuroradiology with an emphasis on stem and progenitor cell transplantation. Dr. Walczak received his MD in 2002 from the Medical University of Warsaw in Poland. He then completed a research fellowship in cell-based therapy for neurodegenerative disorders at the University of South Florida. 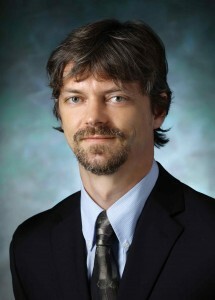 After a fellowship in cellular imaging at Johns Hopkins University School of Medicine, Dr. Walczak joined the faculty of Johns Hopkins in 2008. He is an affiliated faculty member at the Kennedy Krieger Institute’s F.M. Kirby Research Center and the Institute for Cell Engineering.